Response: After you succeed at a story in which you were opposed, refresh all domains in play. 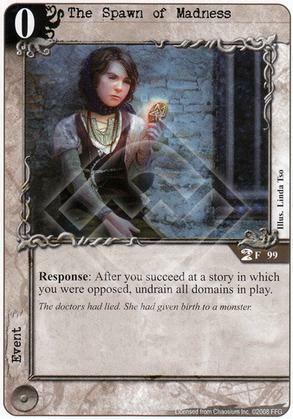 Flavor Text: The doctors had lied. She had given birth to a monster.